Display list of compatible renderers on material toolTip. 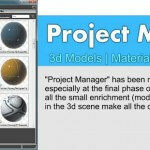 Render default thumbnails for materials only if it compatible to current renderer. Adds the ability to rotate the objects by moving a mouse. Little redesign for “Object Place” tool. 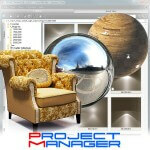 Related to "Project Manager v.2.14.24"